Pujon Kidul village in Malang regency, East Java, used to be just like any other village that is dominated with not-so-lush paddy fields. 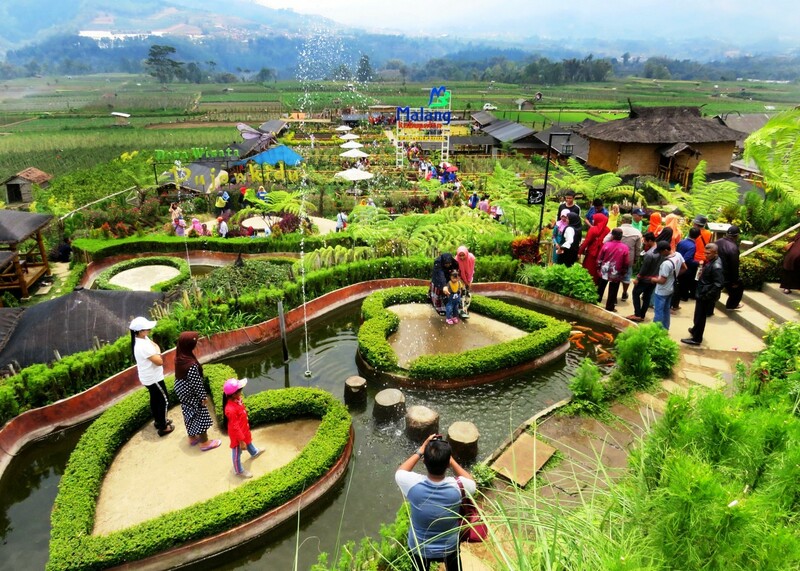 However, thanks to the dedication of its passionate villagers over the past two years, the 323,159-hectare village has been turned into a tourist village that is popular among holidaymakers. "The changes in the village started with my effort to repair clean water management in the village in 2015 using the tourist village concept," Pujon Kidul village head Udi Hartoko, who has led the residents since 2011, told The Jakarta Post on Friday. Udi said not many people were initially interested in the idea, however he continued to push it by speaking directly to the people in the village's three hamlets. "I came to them to listen to what they wanted, to ask them to share their own ideas, including on how to develop tourism in the village," he said. Following his efforts, the locals started to respond positively, even by opening a café with a panoramic view of the paddy fields and hills around the village. Recently the 7,000-square meter Kafe Sawah has become one of the icons of the village, and has attracted tourists, especially after the management added several additional facilities such as a gazebo and playground. Visitors are only required to purchase a ticket for Rp 5,000 (less than 50 cents) per person, which can be exchanged for food and drinks from several stalls at the location. The destination reportedly receives around 500 visitors every day on weekdays, and up to 3,000 tourists flock there on weekends. 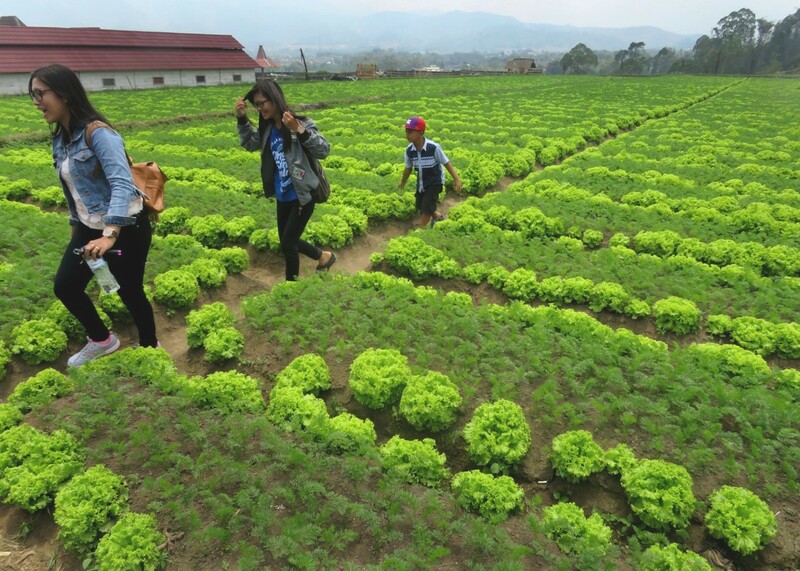 Udi said Kafe Sawah was one of the Sumber Sejahtera village-owned enterprises (BUMDes) in Pujon Kidul that received its funds from Bank Negera Indonesia (BNI). "We developed this concept using Rp 56 milllion in funds from the BUMDes program in 2015. Following our hard work, our revenue in 2017 reached Rp 5.35 billion," said Udi. The village's income has significantly increased from just Rp 30 million to Rp 530 million per year. Udi said other villages in Malang regency should not be afraid to start a BUMDes. "The law and regulation are very clear, as long as it is managed transparently and accountably. Since the locals will be the owners, businesspeople and managers, they have to be involved in the planning, execution and reporting," he added. Various national awards have reportedly been granted to the village, which has a population of just 4,146. However, Udi shared that the residents were still trapped in the economy euphoria, so he was trying hard to develop nature and cultural conservation tourism to maintain balance and avoid the extinction of local wisdom.